Kawaguchiko side Japanese style 10 tatami mats room. 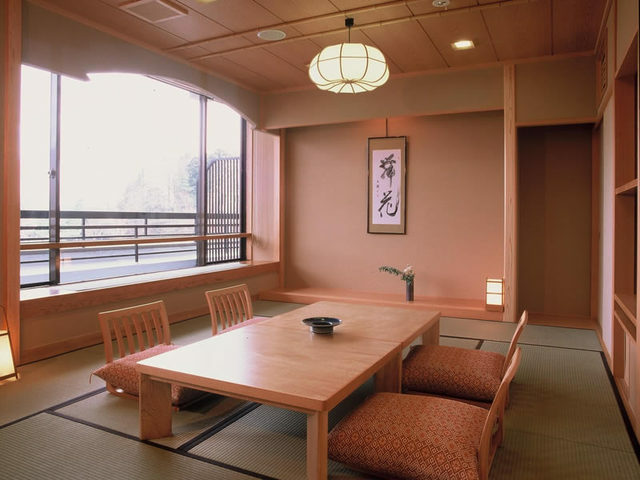 Kawaguchiko side Japanese style 8 tatami mats room. Kawaguchiko side Japanese style Kawaguchiko side Japanese bedroom. 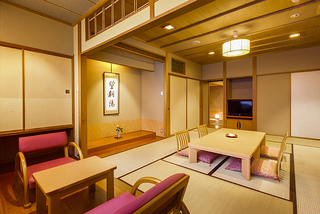 Japanese style room with open-air bath on Kawaguchiko side 10 tatami mats room. 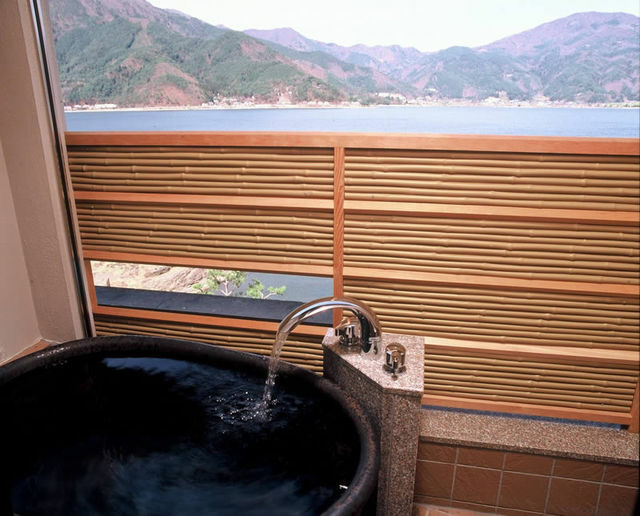 Japanese style room with outdoor bath Mt. Fuji side 10 tatami mats room. 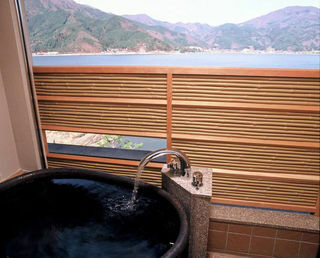 Japanese style room with outdoor bath on Kawaguchiko side 10 pand 6 tatami mats room. 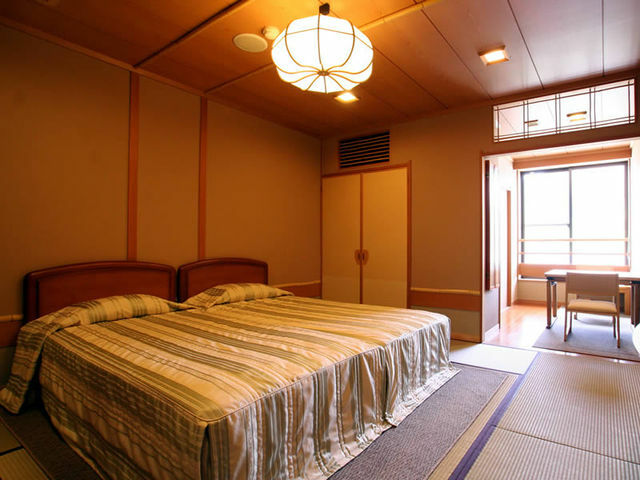 Japanese style room with observation bath on Kawaguchiko side 10 tatami mats room with twin bed. 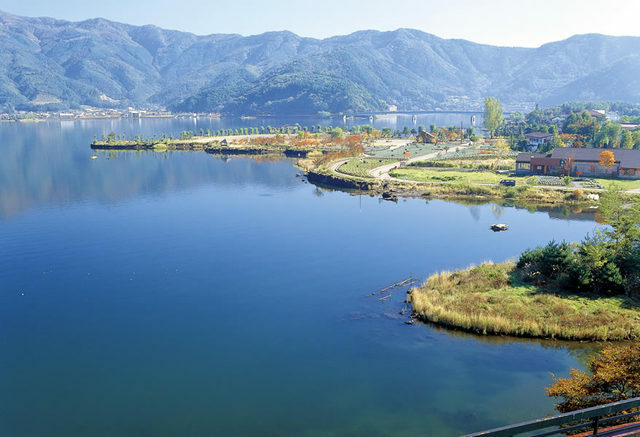 * "Check in" at 14 o'clock / check out at 11 o'clock 21-hour stay "
For basic accommodation, time and place of meal · charge for children / transportation etc. Especially from customers Contents with many questions are described. 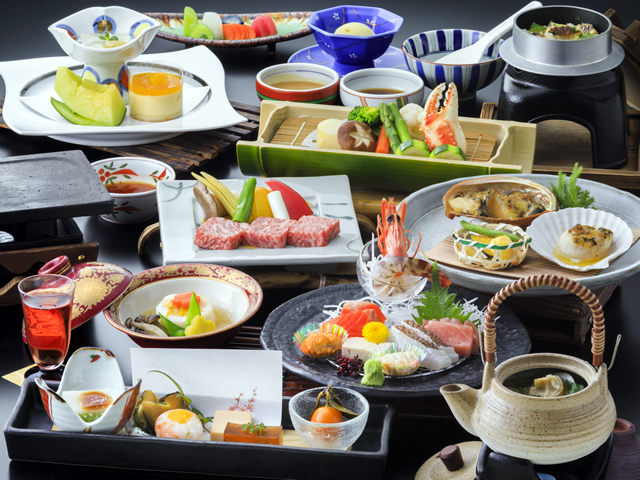 * the evening meal can be enjoyed slowly in the room or private room meal, "Wakaiseki" which harmonized the seasonal seasonal fortune · the delicious rich village's fortune. * If you wish to use this room for 3 people, please contact us by phone. * Children's fee, please contact us by phone. * If you reserve this room type in more than 2 rooms, it will not be on the same floor. In that case also you can eat meals together, so do not worry. * If you would like to use this room for 3 people / 4 people, please contact us by phone. * For dinner, you can enjoy the "grade-up meeting" which raised the grade of meat and meat inside the course in the room or private room meal, you can enjoy it slowly. * You can not select a room or a private room meal. * If you book more than 2 rooms in this room type, the floor may be different. This room type has 6 stairs on the way to the room. Kuroguchiko side Junmai Room consisting of 12 tatami + digging + open-air bath + cypress and lava's inner bath. "Relaxing 21-hour stay" at check in time at 14 o'clock / check out at 11 o'clock. In order to have a relaxing time, the morning futon remains as it is until the way home. We will welcome you with the best cuisine and hospitality of our hotel with the concept of another small inn in the inn. 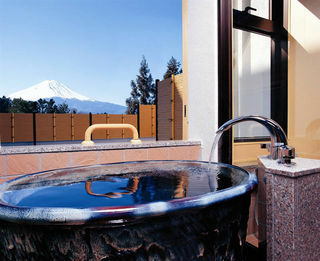 Please relax yourself in the luxuries of just 5 rooms, a hearty moment per day. Each room of the special floor "Wana no Hana" has 2 flat-screen TVs and 1 DVD player. Please have your favorite DVD software. * Only children under 12 years old (including infants) can not use this plan. Customers with children should make use of other plans, please. * this group can not be used in conjunction with other plans (Room 's Flower Tea Room). * For dinner, guests can enjoy a deliciously delicious "Japanese-style meal" of our hotel with a room or private room meal. Please enjoy seasonal happiness that seasonal love, Kai country's village fruit, sea fruit directly sent to Numazu harbor survey. You can not select a room or a private room meal. 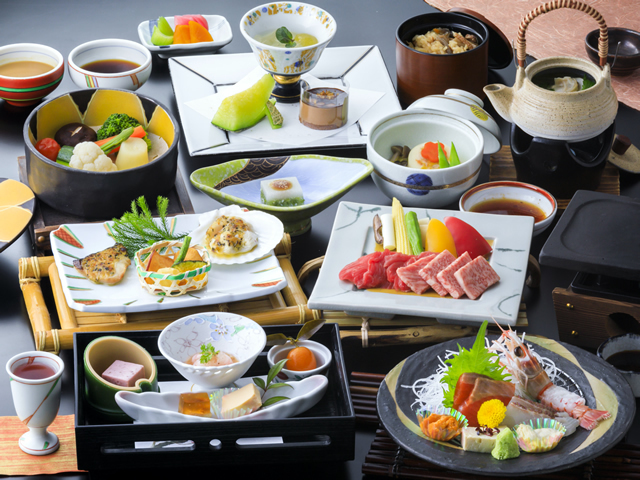 * In your breakfast, we will prepare "Japanese-style meal" or "Western-style meal" in a single-room meal where the heart of a Japanese inn that is considerate of the customer's health, cherish the sense of the season carefully. 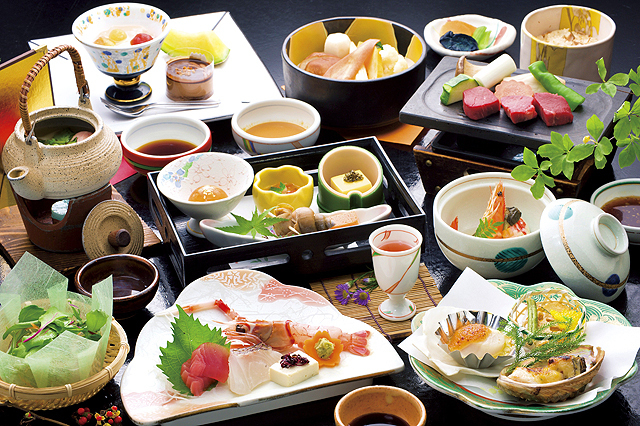 If you wish to eat Western food, please let us know at the time of reservation. If there is no offer, it will be Japanese-style.